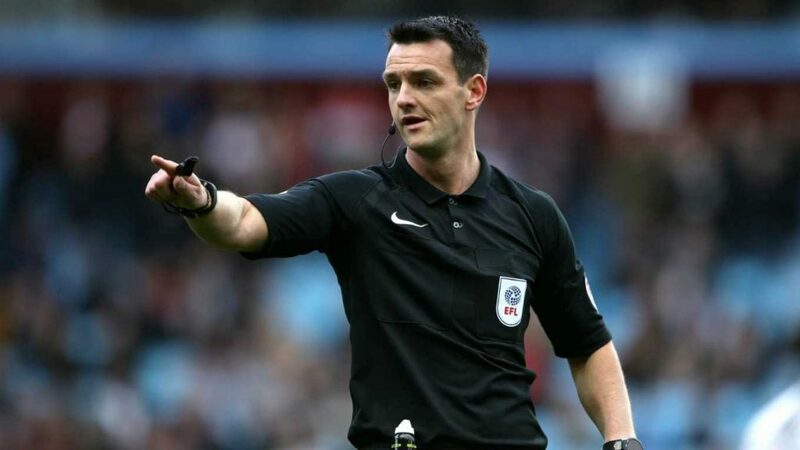 This week’s referee spotlight focuses on Andrew Madley, who was appointed the referee for the Queens Park Rangers v Swansea City Championship game on Saturday, 13 April 2019. Referee Madley was assisted by Robert Merchant and Lee Venamore, with Dean Whitestone being the 4th Official for the game. Andrew Madley is the older brother of former referee Bobby Madley, and has been a football league referee since the 2010/2011 season. He made his debut in the League Two clash between Northampton Town and Crewe Alexandra in February 2011. At the start of the 2016/17 season, Madley was included as a Select Group 2 referee, who cover matches in the Football League Championship. He took charge of his first Premier League game back in March 2018, when Watford played AFC Bournemouth. Madley has been a referee for three Swans games previously – all of which have been away games and have ended in defeat.